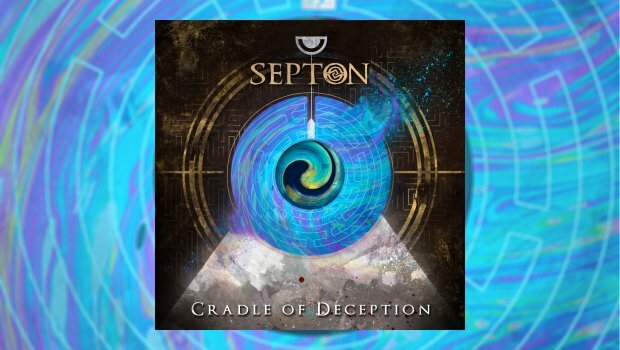 Septon is a progressive symphonic metal band from Barranquilla, Columbia. They have been a band since 2016, formed by drummer Juan Camilo Bertel. Septon won first place awards at local festivals and have also shared the stage with recognised international bands such as Rhapsody and Hammerfall during the Metal Millennium Festival of 2018. Cradle of Deception is their debut album and it is an ambitious work of art for such a new band with artwork created by Matt Ozorio. The album’s themes focus on the many experiences they have had, including Colombian history. Dying Lad opens with powerful orchestration, drumming, bass, and heavy metal guitars. The galloping rhythm that takes over soon after the opening orchestration will remind you of top-flight bands like Dream Theater or Ayreon. Soon, we finally hear the supreme soprano vocals of Angie Bula. She sounds great, but the musical power is so strong her voice is hard to distinguish, along with the lyrics. Angie’s voice is soft for Omen Whispers before the fluid and loud guitars, bass and drums take over. On this track you can further distinguish Bula’s voice; she has the scream of Marcela Bovio but lacks the deep intricacies of Marcela’s vocal delivery. In her defence, the music is pumped up so loud it is hard to hear her at all on this track as well. The Dark Command opens with a cool, vicious lead electric guitar riff, before the orchestration returns along with deep bass and heavy drumming. It’s the first song that you can actually hear Bula’s voice well. She gets more time in front, as the band lowers the volume enough to allow her space to sing. The North Remembers opens with cool Dream Theater-like keyboards. Bula’s screams are more pronounced on this track, but she is almost screaming throughout. You have to wonder if her voice can hold out for an entire show at this pace. Overseas is a wonderful piano interlude that you wish would last much longer than the 47 seconds given – one of the best parts of the album – before the longest track, Medea’s Chant. Piano finally cools things down long enough to give Bula’s voice the front of the stage. It is a welcome change of pace and sound, she really does have a beautiful voice if you could only hear it more through the thunder of the music on this album. Lahars opens with more keys, heavy metal guitars, bass and drums. The galloping speed rhythm is back, and Bula is screaming above the drums and power chords. With a title like Hellish Dome I was expecting more of the same, and I wasn’t disappointed. Bula’s voice is easier to hear, and you can actually distinguish more of her words, but the sheer volume of sound is just too much to be able to enjoy the intricate guitar and keyboard work going on within the song. Revenge blasts off with even more heavy-handed bass, electric guitar and drumming. Luis Velez’s guest vocals provide a deep contrast to Bula’s soprano screams against more fast paced instrumentation. Last Living Witness is more of the same; heavy thunder drums and electric guitar, deep bass and maximum sound. This is a good album, but what the band needs is a little variation. The power gallops are only good in spurts, where their different rhythm can be appreciated. When the entire piece is one long gallop, the listeners’ ears never get a break to appreciate all the intricate musicianship going on under the thunder. I would like to hear more of Angie Bula’s voice on the follow up, I hope they will not drown her out next time.